summer an oil painting, and autumn a mosaic of them all"
Need a Jack O Lantern Pumpkin? 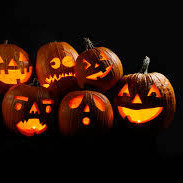 Yep, We've got those, plus all the tools you need to make a great, scary (or not!) face will be hitting the shelves this weekend! Treat yourself to a bag of super fresh, single origin or expertly blended and sourced coffee from Barrington Coffee. 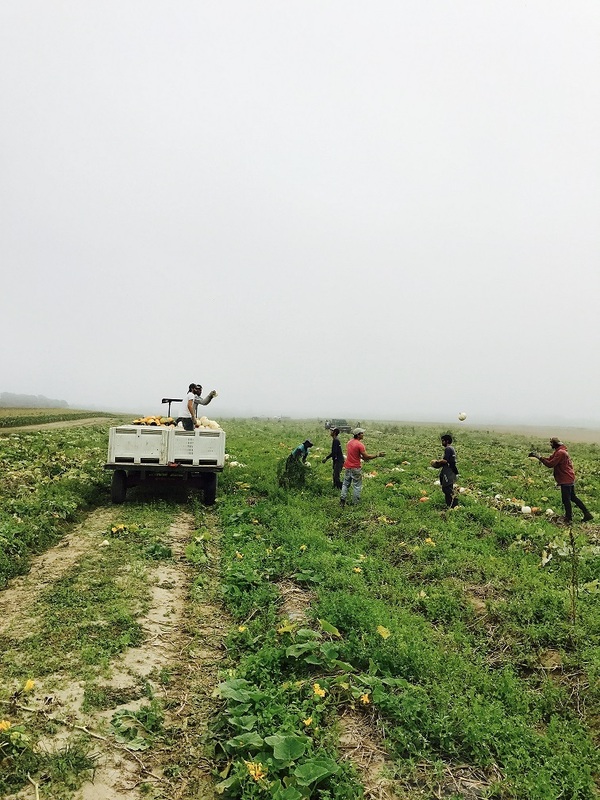 These guys are obsessed with quality, fair trade and responsible farming practices. Or just eat the snacks that go with it! and that means Ribs & Wings on Game Day at the Farm! Ribs & Wings are available from Bartlett's Kitchen Counter from noon til 6 every Sunday and the days when the Patriots play. Try a light red with that roasted chicken instead of your usual white. 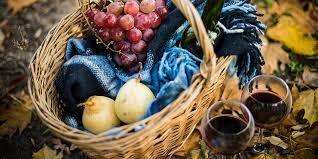 How about a french cider with that roast pork? A fan of bigger bolder reds? We have those too. We like wine over here, but we don't like to spend a lot for it. So, we carry OVER 30 awesome, yummy reds, whites, and ciders for $15 dollars and under. These are no swill mind you, many are organic, small producer and down right scrumptious. Our farm grown potatoes are plentiful and perfect for roasting. 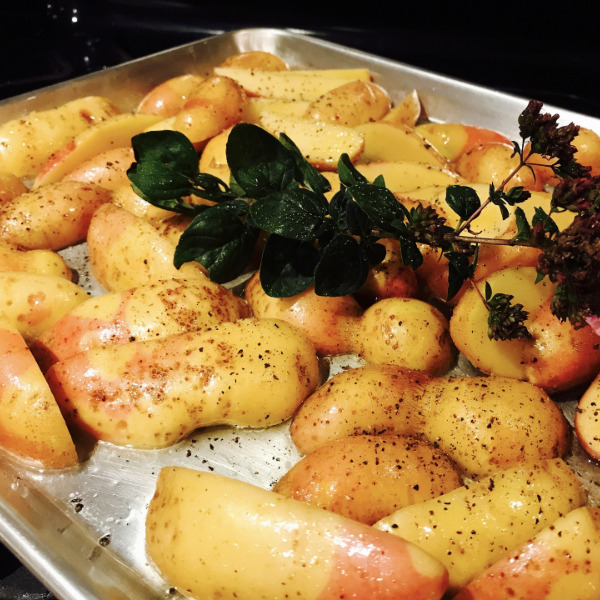 Olive oil, salt, pepper, some farm grown herbs and a hot oven are all that's needed for perfect potatoes every time! Nothing better than hot cocoa on a cool fall night. 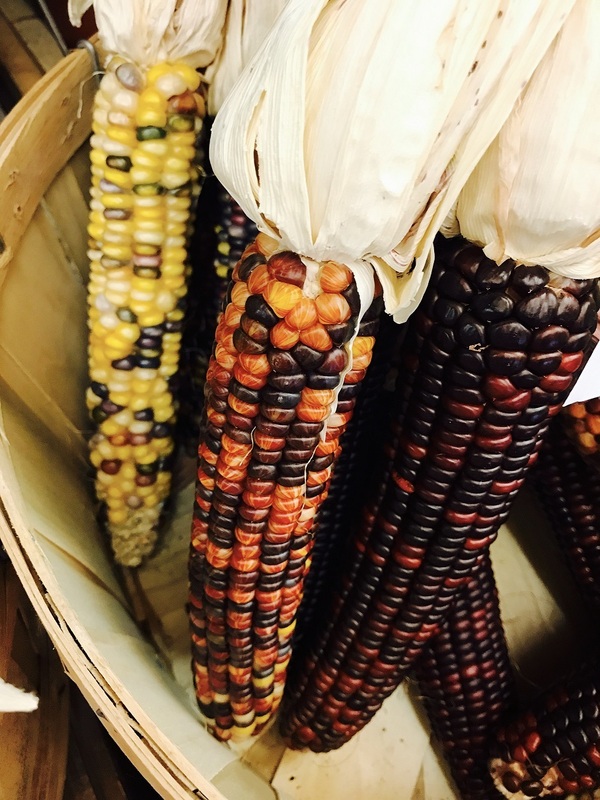 We love this organic mix from Equal Exchange. Crafted using organic cacao grown by the farmers of CONACADO co-operative in the Dominican Republic, organic sugar cane from small-scale farmers in Paraguay, and organic milk powder from Organic Valley dairy co-op in the U.S.
Jeff says, "Swordfish is super fresh & great this time of year. Coming from Canadian waters, the fish have a short trip to shore, and that's a good thing." 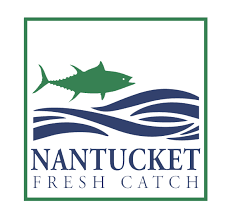 Fresh Catch hours are Wednesday to Sunday, 10 to 6 but don't fret! 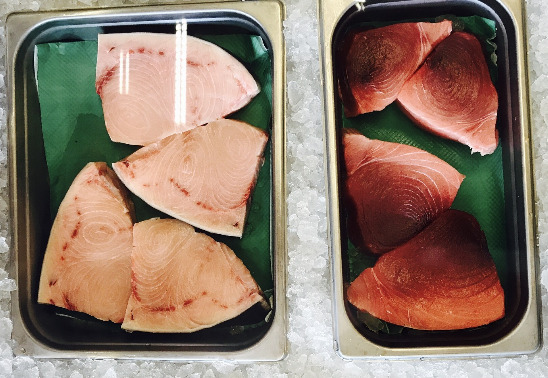 They have been stocking the meat cooler with fresh Salmon Fillets, Swordfish and Lobster Meat. 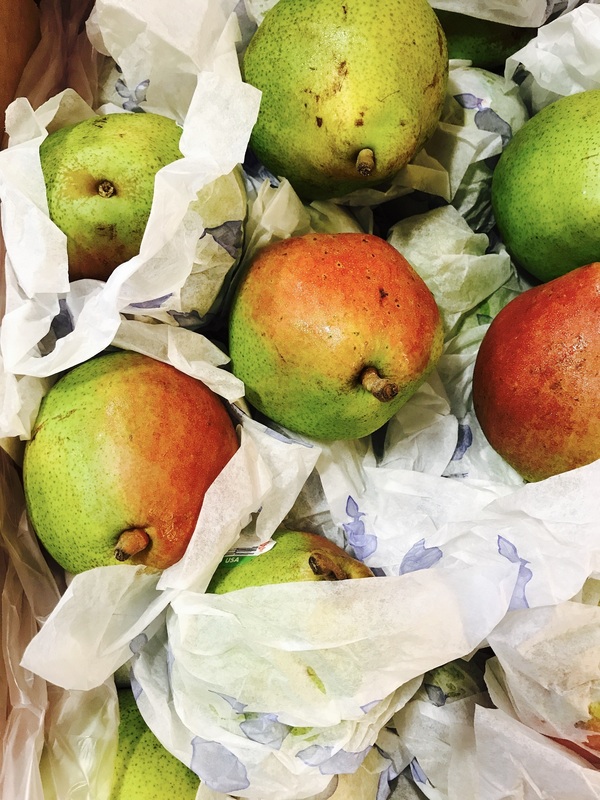 Pears and Apples are in full force! 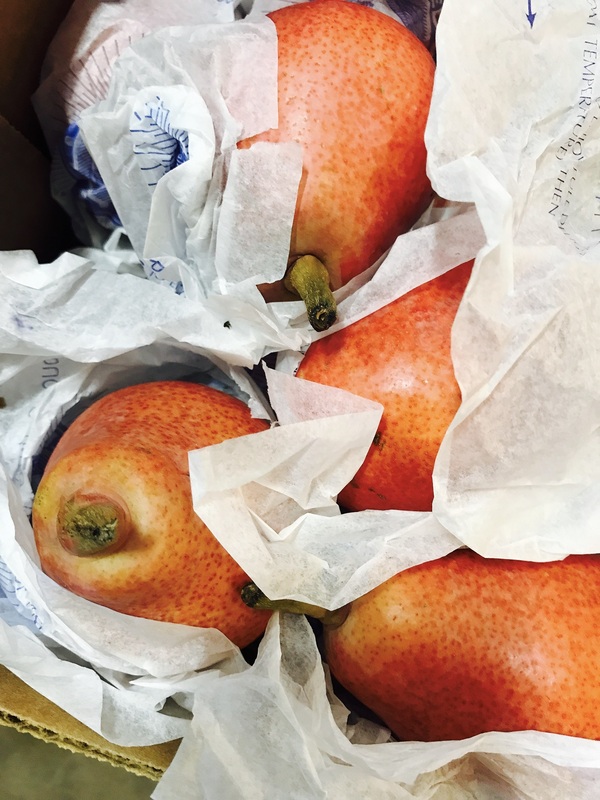 Comice Pears, Anjou Pears, Seckle Pears, Quince, Apples, Apples and more Apples! Why do We Love Local? Carlson Orchards Heirloom Apples are grown with love and care in Harvard, Massachusetts, and picked fresh from the tree and shipped direct to the Farm! We are long-time friends and supporters of Carlson Orchards from Harvard, Mass. Carlson represents a combination of excellent growing standards and practices, producing premium quality fruit that is more than worth the wait every year. No, really... this time we mean it! 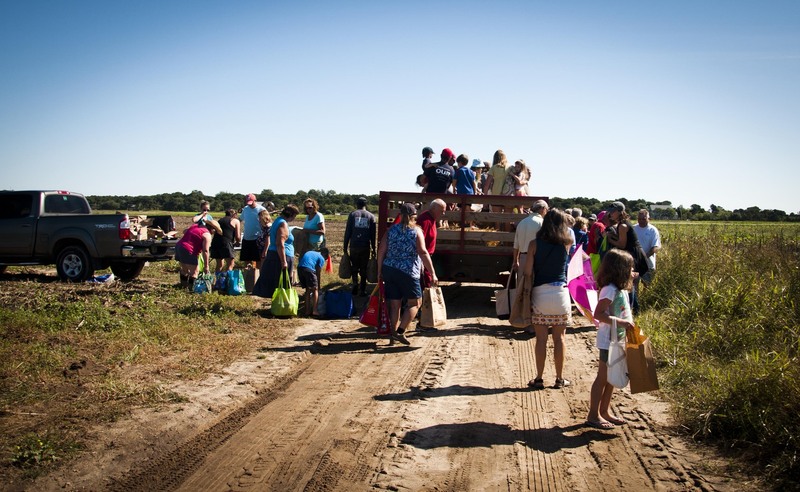 Pick Your Own Tomatoes is ON for Saturday, 9/30! Bring cash to the field and plan ahead. You will pick more than you think! Skip the prep and just enjoy.. What are you waiting for? 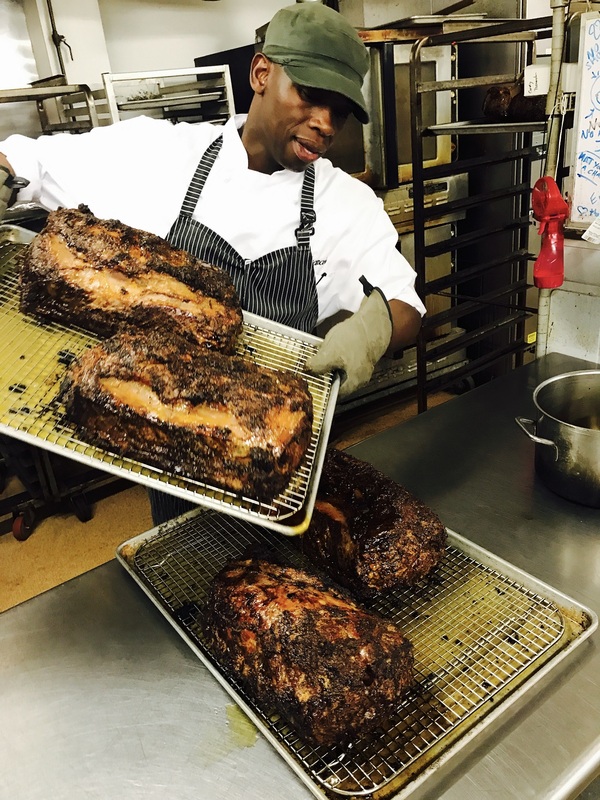 Check out Devon, left, basting his famous Prime Rib just before hand-carving and serving... You don't want to miss this! you should sign up to receive our daily lunch emails! Follow this link and inquire with customer service to be added to the list! Look for our YELLOW Sale Signs! New Sale Items are Being Added Daily! Check out our weekly sales flyer for details each week! Bake until golden, 10 to 15 minutes. Remove from the oven and cool. Brush the crust with the egg white. Refrigerate, tightly covered, for one hour before using. Preheat oven to 425 F. Pour filling into cooled pie crust and bake on a cookie sheet for 15 minutes. Lower temp to 350 and bake for 25 minutes or until knife inserted comes out clean. Place on wire rack and let cool. Proceeds from this year's event will go to the Liz Morcone de Souza Memorial Fund. with lot's of great new surprises! Possibilities for housing and year-round work! Please apply online to become part of the Farmily! 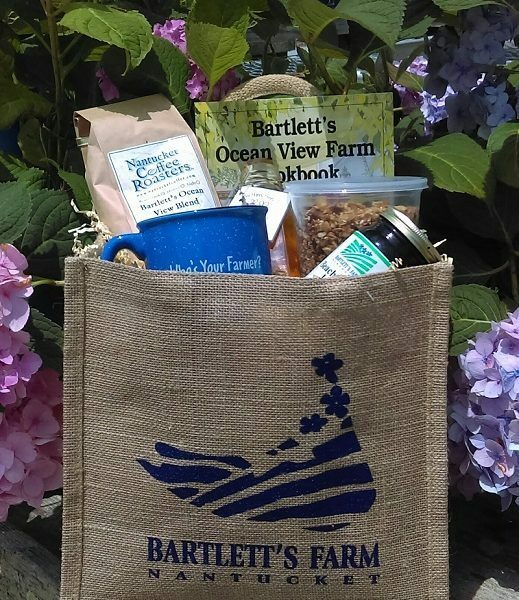 b-ACK to Bartlett's Gift Bag! starting in October. Check out one of our favorite demos from this past spring. Vegan baking with Cheryl!